Should Email Be Part Of Your Inbound Marketing Strategy? Should Email Be Part Of Your Inbound Marketing Strategy? Should Email Be Part Of Your Inbound Marketing Strategy? Inbound marketing is all about attracting visitors to your website, converting them into leads and then nurturing those leads down the sales funnel, providing the right information at the right point of the buyer journey all the way past the sale. But how can email marketing help you achieve this? Put simply, email marketing is one of the most powerful lead nurturing tactics available to marketers, you just need to make sure you’re using it correctly. Find out how you should incorporate this within your digital marketing strategy here. Firstly, there is no place in the world of inbound marketing campaigns for purchased email lists. The majority of your subscriber list should be made up of those who have opted in to receive your content. The best place to build up your contact list is on your website by using gated content (for which you must enter some personal details, such as an email address, before you can access the content) and by adding sign up call to actions on your blogs to capture the email addresses of those who’ve shown interest in your content. By sending emails to those who have opted in to receive your newsletters, you will be in a much better position to reach genuinely interested subscribers, who will be more likely to click-through to your website and share your content, which in turn will help to grow your subscriber list organically. By keeping in touch with these people, you’ll be nurturing their curiosity into what you are offering and gently coaxing them down the buyer’s journey so they move closer to contacting you. Next you should consider segmenting your database to provide more personalised content to your subscribers. Send them information that they are interested in, which can be determined by the information they requested when they opted-in or the page from which they subscribed to your newsletter. Also, by considering where each subscriber is in your buyer journey you will be able to create a segmented campaign for each stage to help them move through to the next part of the sales funnel. Depending on your sales cycle, you will also want to consider the frequency of your email campaigns. For many businesses, fortnightly to monthly is a good benchmark, but depending on the amount of new content on your site, such as blogs, you may be able to send weekly updates. Don’t be scared to A/B test to figure out what works best for your business, as long as you don’t compromise the quality for quantity. Within your email marketing campaign, consider using a mixture of email marketing techniques to give the right type of content at the right stage of the buyer journey. Educational emails tend to offer information on a single topic that will be briefly discussed in your email, with a call to action to more information on you website. Newsletters can be used to provide a snippet of your blogs where readers can then go onto your website to read more. Don’t forget the importance of an automated sequence of emails too! 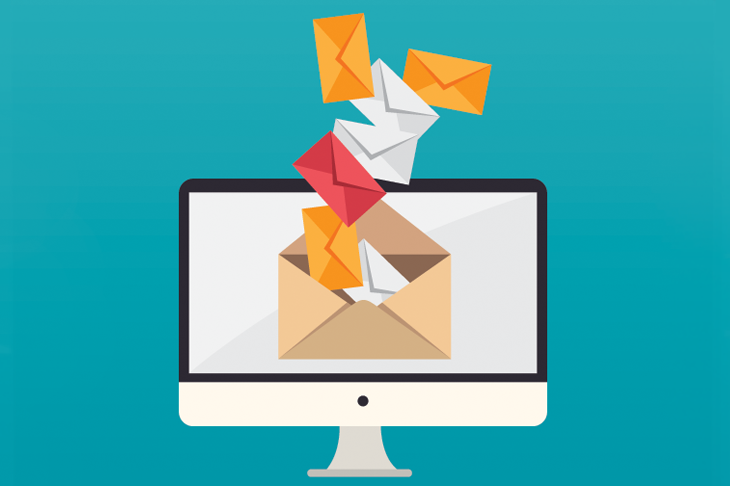 This can be the most powerful lead nurturing form of email marketing, as you are able to create personal emails that will autosend and appear to come from a real person at your company. By setting these emails to be triggered when a person downloads a particular piece of content, or after a number of days you will be able to follow up with more useful content based on the initial download. With every email marketing campaign you create, make sure you’re measuring the right metrics to test what works and where you can improve. Copyright © 2019 Klood Digital. All Rights Reserved.